With so much of our personal and professional lives available for public consumption online, it is becoming increasingly important to control our image. If you need help developing your personal brand, the Business Women’s Forum is holding a luncheon tomorrow focused on Personal Brand Building for Non-Marketers. The Keynote speaker for the luncheon will be Janet Jorgensen, publisher of SagaCity Media. After 15 years in the magazine business for local, regional and national titles, Janet Jorgensen ventured into freelance marketing consulting in 2014. She immersed herself into digital marketing, content marketing and strategic planning for clients from small sole proprietor to large brands. Janet will share why it’s important to build a personal brand, what we can do to better control our public image and ways to build an image that best reflects our values. Join us Tuesday, May 15th from 11:30am to 1pm at 50 West Club & Café for the Business Women’s Forum Luncheon. When the temperatures start to rise Utah sees a new threat to our air quality—ozone. Summer time ozone is just as harmful to our health as winter inversions. Ozone is pollution that you can’t see, that’s created by a mix of emissions combined with sunshine and high temperatures. Last week, the U.S. Environmental Protection Agency gave Utah three years to address and reverse our record high ozone levels. The counties with the highest ozone levels include Salt Lake, Davis, Weber, Tooele, Utah, Uintah, and Duchesne. If you are interested in learning about additional ways you can help reduce emissions, UCAIR is a great resource. They have made it easier for individuals, businesses and communities to make small changes to improve Utah’s air. This June, the Salt Lake Chamber is honoring Senator Orrin Hatch as the 39th Giant in our City. The award is given out by the Salt Lake Chamber Board of Governors and recognizes those with exceptional and distinguished public service and extraordinary professional achievement. It is widely recognized as the most prestigious business award in Utah. This year the Keynote address will be given by Speaker Paul Ryan, a man who has worked closely with Senator Hatch to develop and enact legislation that has helped Utah and the rest of the country accelerate economic growth. We hope you will join us at this year’s Giant in our City celebration to help honor a man who has spent a lifetime dedicated to the citizens of Utah and this state’s business community. The 39th Giant in our City will take place June 9th at the Grand America Hotel. Salt Lake City has been named one of the Best Places to Retire in 2018 by Forbes Magazine. For a city to make the list, it needs to fit a list of requirements, which range from cost-of-living to economic prosperity, taxes to quality of life. How did Salt Lake City fare? We received high marks for our strong economy, with no state estate/inheritance tax; a very high rank on the Milken Institute list of best cities for successful aging, and an above-average number of doctors per capita. Not only that, Salt Lake City was also recognized for its walkability and bikeability. While intangible qualities like culture and science aren’t considered for the list, they don’t hurt. And SLC has both in abundance. Having the University of Utah as part of Salt Lake City provides a cultural aspect people love. Come connect with local business professionals to learn about the advantages of the Chamber’s broad business network at the upcoming Chamber Launch sponsored by Chick-fil-A. With Chamber Launch, we have one goal: to launch you or your business to the next level of success. Aspiring entrepreneurs and established business professionals attend this networking event to connect with fellow leaders and innovators in our community. We’ll bring the breakfast; you bring the business cards. 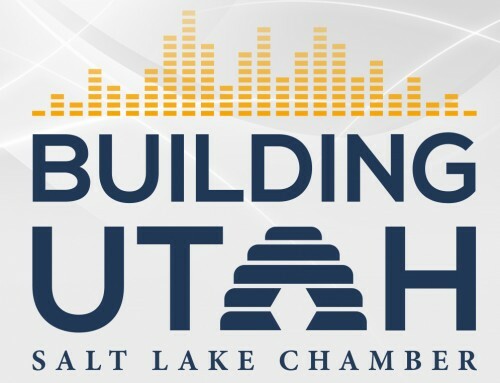 Come join us for Chamber Launch for some networking and best practices on May 23rd at the Salt Lake Chamber.